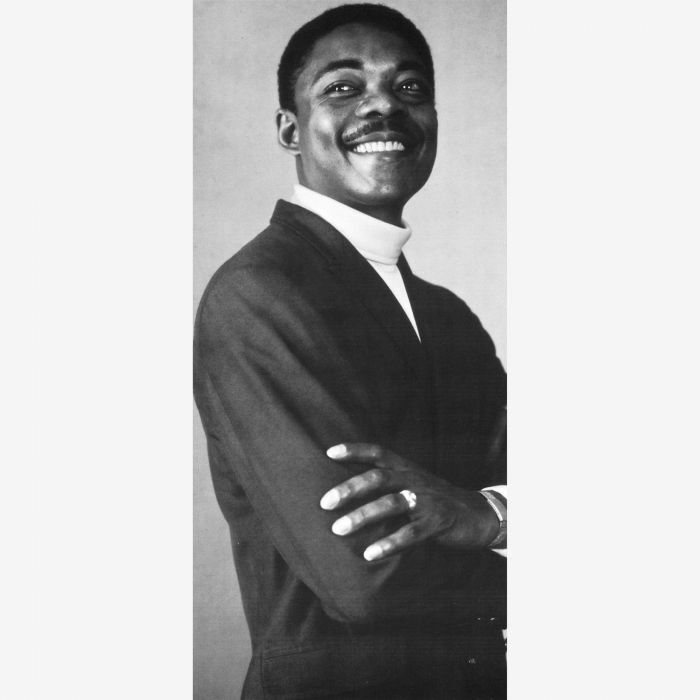 Nine years after making his recording debut with The Rookies, Freddie North signed to Nashboro’s newly formed A-Bet imprint in 1967. This would be home to Freddie North for the next nine years, and where he would enjoy the most successful period of his career. However, his story began in the country music capital, Nashville. Fredrick Carpenter was born in Nashville on ’28th’ May 1939 into a musical family. His father Fredrick was a successful and well-respected gospel singer, so it was no surprise that growing up, Freddie decided to embark upon a musical career. In Freddie’s case it wasn’t gospel he started singing. Instead, Freddie who had grownup listening to doo-wop, R&B and rock ’n’ roll formed a Freddie and some high school friends, The Rookies. They were soon signed to a local label, Athens and recorded Money Money Money and Take Me Back. When the single was released, the group were billed as Freddie North and The Rookies and sold well. So much so, that Atlantic Records picked the single up. It looked as if Freddie North and The Rookies had a bright future ahead of them. When the single was released on Atlantic Records’ East West imprint, it was credited to Freddie. This must can’t have pleased The Rookies, and the band split-up not long after this. Despite the disappointment surrounding The Rookies, Freddie’s career continued in 1960 when he recorded Okay, So What? with Charles “Buddy” Killen, who would go on to found the Dial label. That was a few months down the line, so Charles “Buddy” Killen took Okay, So What? to the University label. Everyone had high hopes for the release, but even with an appearance on American Bandstand the single failed to sell. For Freddie this was another disappointment in his nascent career. Not long after this, Freddie decided to enrol at college and studied speech and drama. However, when he completed his course, Freddie ended up working for a cinema chain. This was one of several dead-end jobs Freddie endured, including a spell as a singing waiter at the Executive Club. Still, Freddie hadn’t given up on his dream of making a career as singer. Whilst working at the Executive Club, Freddie recorded Just To Please You as a single for Capitol Records. Meanwhile, Freddie was constantly in demand as a demo singer, and was a familiar face at many of Nashville’s recording studios. While this was good experience, it meant that Freddie’s career wasn’t progressing. When Freddie released It’s No Good For Me on the R.I.C. label, the single sunk without trace. Freddie’s career seemed to have stalled. These were worrying times for the twenty-five year old. When it looked like Freddie wasn’t going to make it as a singer, with a heavy heart he made the decision to take a job at Nashboro which was Nashville’s biggest record company. This gave Freddie the safety net of a regular income. Freddie started off as a stockroom clerk, but soon, was climbing the corporate ladder and was the head of the press and promotion division. Still, though, Freddie continued to sing in Nashville’s clubs, in the hope that one day, he could resume his singing career. When the opportunity arose, it was closer to home than Freddie expected. Nashboro decided to setup a soul imprint A-Bet in 1966. The nascent label was primarily a label to showcase the work of arranger, producer songwriter, Bobby Holmes. Soon, A-Bet began recruiting artists to join their roster. One of the artists they approached to join A-Bet’s roster in January 1967 was their head of press and promotion Freddie North. He was the fourth artist to join A-Bet’s roster. Soon, Freddie North entered the studio to record his A-Bet debut single. Two Bob Holmes compositions were chosen, including the uptempo (I’ve Got To) Hold Back which was chosen as the single. Tucked away on the B-Side was a soul-baring ballad Don’t Make Me Look So Bad. When the single was released in February 1967, disaster struck for Freddie North when (I’ve Got To) Hold Back failed to trouble the charts. Freddie North had been here before. A-Bet were in no hurry to release a followup. Fourteen months passed before A-Bet released I Have A Dream which was penned by Jerry Keller and Dave Blume. When I Have A Dream had been inspired by Martin Luther King’s speech was released, it also failed to find an audience. For Freddie North this was another disappointment. After the failure of I Have A Dream, sixteen months passed before Freddie North released his third single for A-Bet, Oh Lord, What Are You Doing To Me. This was a much covered Ballad penned by Luther Dixon and Bert Keyes, and was arranged and produced by Bob Holmes. It features a vocal full of despair and showcases Freddie North’s vocal ability to breath meaning and emotion into the lyrics. So does the B-Side, Long Hard Road which is a ballad written by Bob Holmes. It’s one of his most underrated A-Bet sides. Sadly, very few people heard Oh Lord, What Are You Doing To Me and Long Hard Road, as the single failed to sell. This was becoming a familiar pattern, and something had to change. For Freddie North’s first three singles for A-Bet, he had worked with producer by Bob Holmes. While the quality of music was indisputable, it hadn’t proven to be a successful partnership. It was decide later in 1969, that from thereon in, Freddie could produce his own sessions. The first sessions that Freddie North took charge of, saw him record six songs, Got To See If I Can Get Mommy, Love To Hate, a poignant cover of Rainy Night In Georgia and Thank That Woman. This was almost enough for Freddie North’s debut album. To complete the album, Freddie included two of his first three singles, I Loved Another Woman nd From The Blind Side, The Sun Comes Up and included his two previous singles, Oh Lord What Are You Doing To Me and I Have A Dream. 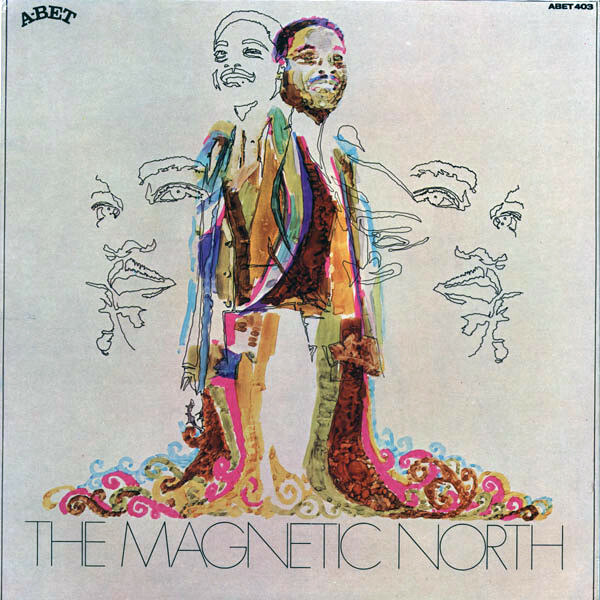 These eight songs became Freddie North’s debut album The Magnetic North, which was released on A-Bet in March 1970. Alas, The Magnetic North failed to find the audience it deserved, and Freddie North was no nearer making a breakthrough. Not long after the release of The Magnetic North, Freddie North returned with his fourth single for A-Bet, which was another soul-baring ballad, Thank That Woman. Hidden away on the B-Side was Love To Hate, a carefully crafted, orchestrated song which was produced by Freddie North. Sadly, Thank That Woman passed record buyers by and Freddie North found himself n last chance saloon. For his fifth single for A-Bet, Freddie North covered Sammy Cahn and Jule Styne’s Follow The Lamb which featured in their musical Look At The Lillies. The gospel-tinged Follow The Lamb was a strange choice for single for Freddie North, who was desperate to make a commercial breakthrough. Especially with the cover of Dave Hall’s wistful From The Blind Side tucked away on the B-Side. It was a much stronger track, and when Follow The Lamb was released in October 1970, it failed to make any impact on the charts. For Freddie North this marked the end of an era. 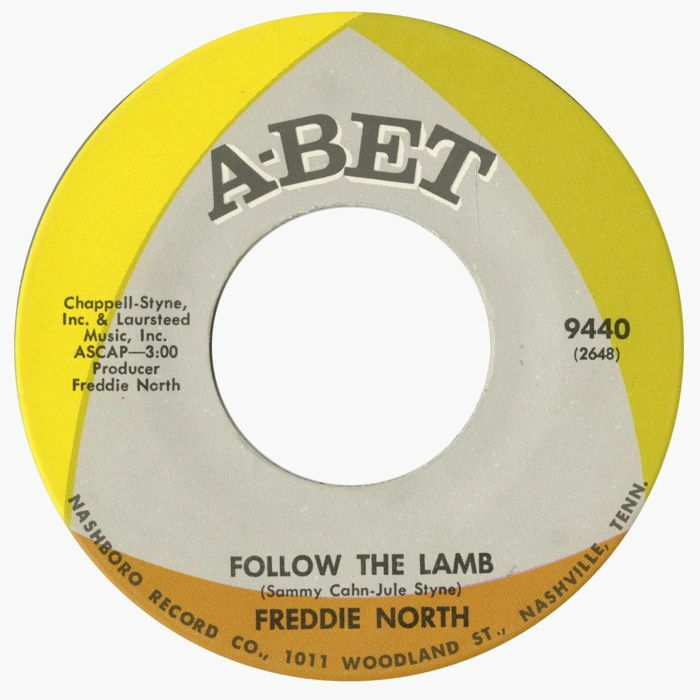 Follow The Lamb was the last single that Freddie North released on A-Bet. He had released five singles and an album on A-Bet, but hadn’t come close to enjoying commercial success. Things were so bad, that Freddie North was seriously considering turning his back on music. That was until Nashboro decided to found a new imprint in 1971, Mankind, which would replace A-Bet. It was no longer an active label, and for the time being, artists signed to A-Bet would join Mankind. Helping to run the nascent label, was Jerry Williams Jr a.k.a. Swamp Dogg. He had just recorded albums with Irma Thomas, Sandra Phillips and Doris Duke for the Wally Roker’s Canyon group of labels in Muscle Shoals. Nashboro president Bud Howells suggested that Freddie North move to Muscle Shoals and work with Jerry Williams Jr. This it was hoped, might result in a change of fortune for Freddie North. Bud Howells’ suggestion that Freddie North move to Muscle Shoals, soon paid off. For Freddie North’s Mankind debut, Jerry Williams Jr had a song lined up. The song he suggested was the Garry US Bonds’ song She’s All I Got as a single, with the Jerry Williams Jr composition Ain’t Nothing In The News (But The Blues) on the B-Side. However, when She’s All I Got was released on Mankind in July 1971, it charted and reached number ten on the US R&B charts and thirty-nine US Billboard 100. Eleven years after releasing his debut single, Freddie North had a hit single on his hands. 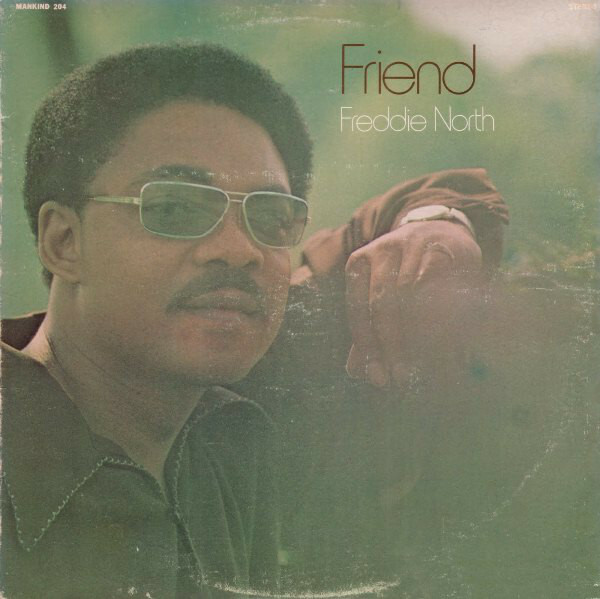 Mankind were keen to build on the success of Ain’t Nothing In The News (But The Blues), and Freddie North released his sophomore album Friends. It featured Freddie’s next hit single. For the followup to She’s All I Got, Freddie North recorded You And Me Together Forever, which featured Did I Come Back Too Soon (or Stay Away Too Long) on the B-Side. However, when Freddie North’s second Mankind single You And Me Together Forever was released in January 1972 stalled at twenty-six in the US R&B charts. Compared to Freddie’s A-Bet released, You And Me Together Forever was regarded as a success by those at Nashboro headquarters in Nashville. Now, Freddie North had to build on the success of his two hit singles. Two months later in March 1972, Mankind released a promo of Freddie North’s recording of Did I Come Back Too Soon (Or Stay Away Too Long). However, the song never got made beyond the promo stage, and wasn’t released as a single. In May 1972, Freddie North released the first of three singles in quick succession. Sweeter Than Sweetness was released in May 1972, but failed to trouble the charts. It was a similar case with Roll Over (Play Like Our Love Ain’t Dead) in June 1972 and Song # 29 (I’m Your Man) in September 1972. These three singles marked the end of the Jerry Williams Jr era. By late 1972, Jerry Williams Jr had fallen out with Nashboro, and headed off in search of the next chapter in his chequered career. Jerry Williams Jr who was a talented singer, songwriter musician and producer never seemed to stay anywhere long, and never came close to fulfilling his potential. Meanwhile, Freddie North was desperate to return to the heights he had enjoyed early on in his career with Mankind. David Johnson who had engineered the previous Mankind sessions. He was regarded as the natural heir to Jerry Williams Jr and produced You’re Killing Me Slowly But Surely which features a vocal that’s hurt-filled and full of despair. Despite its quality, the single failed to commercially when it was released in June 1973. 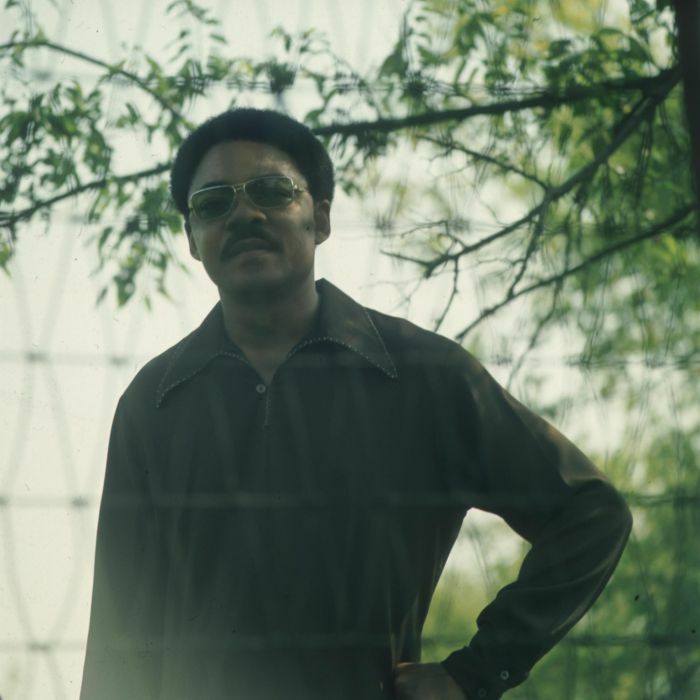 Two months later, Freddie North released a cover of Hugh King’s Lovin’ On Back Streets. It was the first Mankind single to produced by Freddie North. On the B-Side, was Love To Hate, which previously was the flip-side to the A-Bet single Thank That Woman in 1970. However, when Lovin’ On Back Streets was released in August 1973, it too, failed to find an audience. By then, two years had passed since You And Me Together Forever gave Freddie a hit single. He could really do with a hit single. Later in 1973, Freddie North returned to producing his own singles. He produced the ballad Taking Her Love Ain’t Gonna Be Easy, which was arranged by Bergen White. While was one of the best singles that Freddie North had released since the early days of his career at Mankind, commercial success eluded Taking Her Love Ain’t Gonna Be Easy. For Freddie this must have been a frustrating time. After nearly three years without a hit to his name, Mankind released Cuss The Wind as a single with Love To Hate again featuring on the B-Side. Cuss The Wind was one of the Jerry Williams Jr productions that had lain unreleased for the best part of a two years. It’s a poignant ballad, where strings and horns frame Freddie’s vocal. Mankind had high hopes for the single, and an album entitled Cuss The Wind was compiled. Cuss The Wind featured eight tracks, including some songs that Freddie had already released on A-Bet. There were several new songs, including Cuss The Wind band the soul-searching Southern Soul ballad My Whole World Ended. Songs of this quality it was hoped would bring commercial success Freddie North’s way. Despite the quality of the single, it was a familiar story when Cuss The Wind failed to trouble the charts. When Mankind released Freddie North’s album in 1975, it took failed to find an audience. This was Freddie North’s second album of Southern Soul that passed unnoticed. For Freddie North, it was almost the end of the road at Mankind. 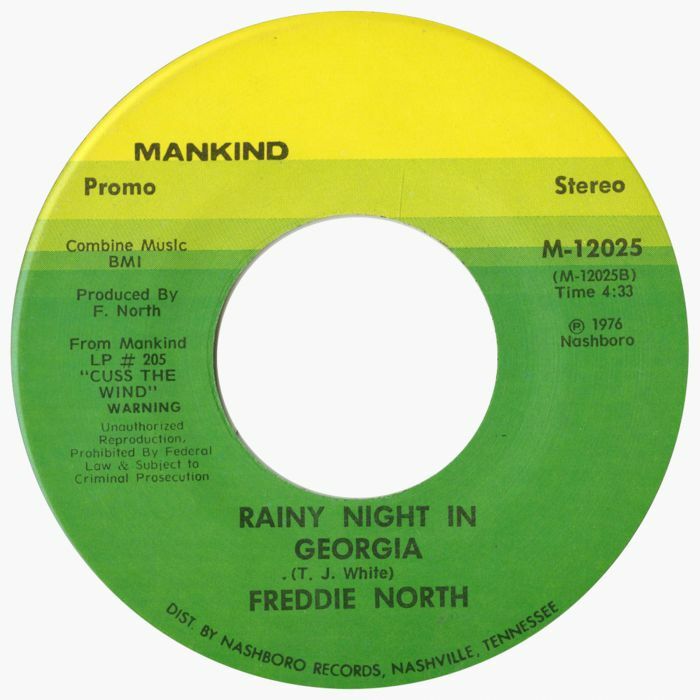 One further Freddie North single was released on Mankind in 1976, Rainy Night In Georgia. 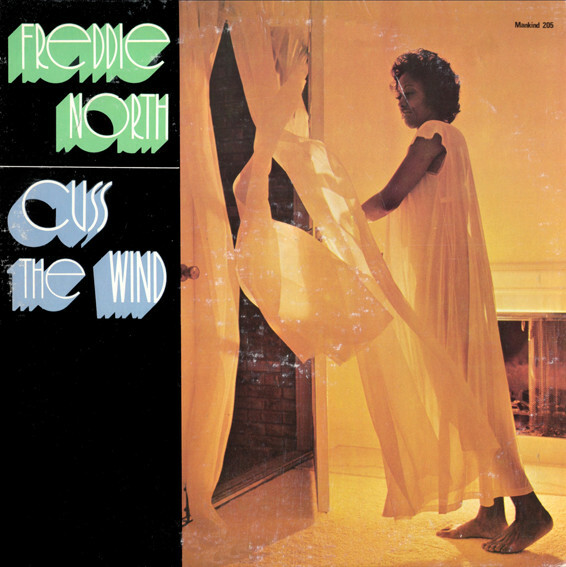 It was taken from Cuss The Wind, and featured Freddie North’s Loved Another Woman on the B-Side. Both were produced by Freddie North and showcased his skills as a singer and producer. However, when the single failed commercially, that was the end of the line for Freddie North and indeed Mankind. Mankind closed its doors shortly after the release of Freddie North’s cover of Rainy Night In Georgia. A year later in 1977, A-Bet also closed its doors for the second time. This time though, it was for good. Freddie North also left Nashoro in 1977, after eleven years service. He had decided to turn his back on music for good. Freddie North was no more. Instead, Freddie North reverted to his real name, Frederick Carpenter and started a ministry. While Pastor Frederick Carpenter occasionally sung in church, there would be no comebacks. The man once known Freddie North would never return to secular music. Although Freddie North was lost to secular music, he left behind a rich musical legacy, including the music he recorded at A-Bet. I was the most productive and successful period of Freddie North’s career. Sadly, Freddie North’s singles and three albums didn’t reach they audience that they deserved. Freddie North enjoyed just two hit singles during the nine years he spent at A-Bet and Mankind. Sadly, Freddie North, who is one of the most talented soul men of his generation never reach enjoyed the success his talent deserves, and he remains one of soul’s best kept secrets. ← RED HOT BOPPERS-HMV VINYL EXCLUSIVE.